For similarly-named properties, see Old Post Office. The Old Post Office, listed on the National Register of Historic Places as the Old Post Office and Clock Tower and located at 1100 Pennsylvania Avenue NW in Washington, D.C., was begun in 1892, completed in 1899, and is a contributing property to the Pennsylvania Avenue National Historic Site. It was used as the city's main General Post Office until 1914 at the beginning of World War I, succeeding an earlier 1839 edifice, G.P.O. of Classical Revival style, expanded in 1866 on F Street, which later was turned over to the Tariff Commission and several other agencies (today, the Hotel Monaco). The Pennsylvania Avenue 1899 landmark structure functioned primarily as an federal office building afterward, and was nearly torn down during the construction of the surrounding Federal Triangle complex in the 1920s. It was again threatened and nearly demolished in the 1970s to make way for proposals for the completion of the enveloping Federal Triangle complex of similar Beaux Arts styled architecture government offices, first begun in the 1920s and 30s. Major renovations occurred in 1976 and 1983. The 1983 renovation opened a whole new chapter in the structure's history and use, added a food court and retail space that together with the building's central atrium with an added roof skylight acquired the name of "Old Post Office Pavilion". A glass-walled addition on a former adjacent parking lot was added to the structure in 1991. In 2013, the U.S. General Services Administration (GSA) leased the property for 60 years to a consortium headed by "DJT Holdings LLC", a holding company that Donald Trump owns through a revocable trust. Trump developed the property into a luxury hotel, the Trump International Hotel Washington, D.C., which opened in September 2016. The building is an example of Richardsonian Romanesque, part of the Romanesque Revival architecture of the nineteenth century United States. It is the third-tallest building in the national capital of Washington, D.C. Its 315-foot (96 m) high Clock Tower houses the "Bells of Congress" and offers panoramic views of the city and its surroundings on an observation level. 8 Trump International Hotel Washington, D.C. The United States Congress approved construction of a new post office for Washington, D.C., on June 25, 1890. The site, at the southwest corner of Pennsylvania Avenue and 12th Street, was chosen by Senator Leland Stanford in 1888 in the hope that the building would revitalize the Murder Bay neighborhood between the Capitol building and the White House. Willoughby J. Edbrooke, Supervising Architect of the Treasury Department, designed the structure in the tradition of the Romanesque Revival architecture of Henry Hobson Richardson. Construction began in 1892, and the building was complete in 1899. The total cost of construction was $3 million. At the time of its completion, the Post Office Building contained the largest uninterrupted enclosed space in the city. Its clock tower reached 315 feet (96 m) into the air. It was also the city's first building to have a steel frame structure, and the first to be built with electrical wiring incorporated into its design. The structure featured elevators with cages of highly intricate wrought iron, a glass covered atrium and mezzanine level, and floors, moldings, railings, and wainscoting made of marble. The atrium was 196 feet (60 m) high, and 10 floors of balconies looked out onto the space (which provided interior light in an era when indoor lighting was not common). It boasted more than 39,000 interior electric lights, and its own electrical generator. Girders and catwalks spanned the atrium at the third floor level to allow post office supervisors to look down on the workers. The fifth floor housed executive offices in the corners. Each office had a turret, ornately carved wooden moldings, and red oak paneling. But there were problems with the structure. The Washington Star newspaper reported that the skylights and windows leaked air and water, the marble floors were poorly laid, and much of the construction was shoddy. The ninth floor was to have served as a file room, but a post-construction inspection showed it could not accommodate the weight. Technological advances in electricity and electrical wiring, mechanical engineering, movement of air, heating, and more made the building out of date as soon as it opened. The anticipated economic development never occurred. At the 1898 meeting of the American Institute of Architects, the structure was criticized as supremely ugly during a plenary address by New York City architect George B. Post. That same year, Senator Joseph Roswell Hawley called it "a cross between a cathedral and a cotton mill". By the time it opened, the building was also too small to accommodate the government agencies which occupied it. The city postmaster had advocated a building with a 50,000-square-foot (4,600 m2) footprint, but only 10,000 square feet (930 m2) were purchased. The post office used the main floor and mezzanine, but these were already too crowded by January 1900. Treasury Department offices were to have taken over the eighth floor, but the structure was so overcrowded that this move was suspended. A year after the building opened, an accident there took the life of D.C. Postmaster James P. Willett. On September 30, 1899, Willett fell 90 feet (27 m) down an open elevator shaft. Nothing more than a flimsy wooden barrier prevented access to the shaft. Willett died a day later. In the early 1880s, Senator Justin Smith Morrill and Senator John James Ingalls proposed razing all the structures between Pennsylvania Avenue and B Street (now Constitution Avenue) to the south to create a park. The influential McMillan Plan of 1902, however, proposed retaining the structure. (It could hardly have done otherwise, with the building only just having been completed.) Nonetheless, the same year the Washington Post editorialized in favor of its demolition. In discussing plans to beautify Washington, essayist Sammuel E. Moffett disparagingly called the building in 1906 a "Kansas City emporium so utterly out of keeping with the general atmosphere of official Washington that it sets the teeth of architects on edge". Later that year, Senator Weldon B. Heyburn introduced legislation to authorize the federal government to purchase all the land between Pennsylvania Avenue (northeast side), the National Mall (south side), 15th Street N.W. (west side), and the U.S. Capitol grounds (to the east) for the construction of an architecturally "harmonious" set of massive office buildings. Heyburn's plan retained the architecturally dominating Old General Post Office Building of 1899 with its commanding tower, but adjusted its Pennsvylania Avenue side to be parallel with the street. The clock in the building tower was originally mechanical in nature, and kept accurate time via gravity. A cable was wrapped around a drum, and a large weight attached to the end of the cable. As the cable unwound due to the force of gravity, the clock hands turned. The cable was rewound once or twice a day. On October 10, 1956, the weight came loose from the cable and plunged through two floors (narrowly avoiding killing a man, who had just gotten up from his desk). The mechanical clock was later replaced with an electric one. In 1914, the District of Columbia's General Post Office moved to a larger Beaux Arts / Classical Revival building constructed next to recently completed Union Station of similar impressive style, taking advantage of heavy use of the national railroad system for speedier mail delivery. Although only now 15 years old, the building at 12th Street and Pennsylvania Avenue was now commonly called the "old" post office. For the next forty years, the GPO building served as office space for several government agencies. The Old Post Office Building was slated for demolition during construction of the Federal Triangle. In 1926, the United States Congress enacted the Public Buildings Act, which authorized the construction not only of the Federal Triangle complex of buildings but also a new U.S. Supreme Court building opposite the east front of the United States Capitol on the site of the Civil War era Old Capitol Prison and just north of the recent 1897 Library of Congress first building, along with a major extension of the U.S. Government Printing Office building on North Capitol Street, and significant widening of B Street N.W. (later renamed Constitution Avenue) on the north side of the National Mall. Government officials, other experts, and the press believed that the demolition of the 1898 District Building ("city hall" for the District of Columbia), the Old Post Office Building and the closure of many streets in the area would occur. A Board of Architectural Consultants was created on May 19, 1927, to advise the federal agencies developing Federal Triangle on how to proceed. By July 1927, the board had fashioned a general plan for the area, but did not address whether the Old Post Office Building, the District Building, or the Southern Railway Building should be torn down or not. Planning for the complex was deeply influenced by the City Beautiful movement and the idea of creating a civic center to achieve efficiency in administration as well as reinforce the public's perception of government as authoritative and permanent. For the architectural style of the buildings, the board adopted the McMillan Plan's recommendation of the Neoclassical style. Rather than a mass of tall, imposing buildings, two unifying open spaces (intended for ceremonial use, and under discussion by the Board at least by March 1928) would be utilized. The first would be a Circular Plaza (inspired by the Place Vendôme) bisected by 12th Street NW, and which would require the demolition of the Old Post Office Building. But by 1934, although the government had cleared land around the Old Post Office Building, Congress was increasingly opposed to demolishing the structure. Tearing down a structurally sound 35-year-old building during the Great Depression seemed foolish. But the executive branch agencies overseeing the Federal Triangle's construction still wanted it gone. Yet, it was not demolished. Four years passed. Although a push was made to remove the Old Post Office Building again in 1938, Senator Elmer Thomas defended it and attacked the erection of a Neoclassical office building in its place as financially unacceptable. The 1938 effort to remove the building was the last one for 30 years. Various reasons have been suggested for why the Old Post Office Building survived. A common claim is that the federal government, fighting the Great Depression, simply did not have the money. Press reports at the time, however, noted that voters would have punished congressmen who tore down a perfectly good building. Architectural historians have also argued that President Franklin D. Roosevelt (who took office in March 1933, five years into the Federal Triangle's construction) was not interested in completing the expensive complex of white marble office buildings or making the Federal Triangle architecturally harmonious. The Old Post Office Building's tower slowly became an iconic one in the city. The United States Information Agency often used it as a backdrop for propaganda films to be shown in foreign countries. In one instance, a portion of a film about Soviet dissident Alexander Solzhenitsyn was taped in the tower. By the 1950s, and Eisenhower era, the neighborhood around the Old Post Office Building had also declined. Pennsylvania Avenue N.W. was marked by deteriorating homes, shops, and office buildings on the north side and monumental Neoclassical federal office buildings of the 1920s-30s era Federal Triangle on the south. After observing the poor state of the Avenue during his inaugural parade from the Capitol to the White House, 35th President John F. Kennedy appointed a President's Council on Pennsylvania Avenue to study ways to improve the area. The council's draft plan was ready for Kennedy's approval almost two and a half years later when he was assassinated in Dallas Texas on November 22, 1963. The draft plan retained the Old Post Office Building. Kennedy's successor, 36th President Lyndon B. Johnson, agreed to move forward with the plan and appointed a Temporary President's Commission on Pennsylvania Avenue, although it did not hold its first meeting until May 21, 1965. The new commission recommended that the Old Post Office be torn down in favor of completing the plan for the Federal Triangle. The temporary commission managed to prevent development of the avenue which was contrary to the draft plan, but it never was able to win congressional approval for its plan. It ceased to function on November 15, 1969, due to lack of funds. A permanent Pennsylvania Avenue Development Corporation (PADC) was finally created by Congress on October 30, 1972. An attempt to demolish the Old Post Office Building began in February 1970. The National Capital Planning Commission, a federal agency with legal jurisdiction over major building projects in the Washington metropolitan area, agreed (although it said the tower might be preserved). Within days, Wolf Von Eckardt, the influential architectural critic of The Washington Post, began campaigning for the structure's preservation. No action was taken on the demolition project in 1970, and Von Eckardt continued to press for the building's preservation in 1971. By early 1971, a group of local citizens and architects formed a group known as "Don't Tear It Down" (predecessor to the D.C. Preservation League). The group's members included Nancy Hanks, the politically influential chairwoman of the National Endowment for the Arts. Don't Tear It Down began heavily lobbying the PADC, General Services Administration (which owned the building for the federal government), White House, Congress, and D.C. city government to stop the demolition. Opposition to the demolition began to grow in the U.S. Senate, which held hearings on the buildings in April 1971. Preservation forces received a major boost in May 1971 when the federal Advisory Council on Historic Preservation recommended retaining it. The Nixon administration, however, continued to seek its demolition so that Federal Triangle could be completed in time for the United States Bicentennial in 1976. But by this time, Senator Mike Gravel, chair of the Subcommittee on Public Buildings and Grounds of the Committee on Public Works was strongly opposed to the effort. Gravel sought allies in the United States House of Representatives, and in June 1972, the House Committee on Appropriations voted down Nixon's request for money to demolish the Old Post Office. The Old Post Office was added to the National Register of Historic Places in 1973. That same year, the General Services Administration formally dropped its intention to demolish the building and instead developed a plan to preserve it. The National Capital Planning Commission agreed to the project. Major renovation of the structure was made possible in 1976 by enactment of the Public Buildings Cooperative Use Act. The law gave GSA the legal authority to lease federal buildings and use the money received for renovations and upgrades. It also legalized the use of a portion of federal office buildings for commercial retail and restaurant use. The Old Post Office was the first major project begun under the law. An $18 million renovation began in 1977. The building badly needed it: The atrium roof had been covered over, making the interior dark; the building leaked and had suffered extensive water damage; there was mold throughout the building; and the heating system often broke down. The GSA held a competition in 1978 to find a partner willing to redevelop the Old Post Office Building. The agency believed that the configuration of the interior space and downtown real estate market would only support a hotel. But the winning bid did not propose a hotel. A joint venture by four firms—McGaughy, Marshall, and McMillan; Arthur Cotton Moore Associates; Associated Space Design, Inc.; and Stewart Daniel Hoban & Associates—won the competition. GSA and the bidding team reached an agreement for a 55-year lease. GSA collected $166,000 a year in rent, which increased just 5 percent during the life of the lease. GSA also received a percentage of all profits from the enterprise. The $29 million renovation was completed in 1983. Much of the building was gutted to utilize the interior space more efficiently, but some "preservation zones" were established to retain the interior's historic character. Much of the old marble was replaced with new, pink marble, and the interior repainted in shades of cream, gray, green, and ivory pastels. A glass-enclosed elevator to the observation deck was also added, as well as a new grand staircase to the second floor and two 6,000-square-foot (560 m2) restaurants. The renovated building was officially dedicated on April 19, 1983. Vice President George H. W. Bush presided over the event. The re-opening was celebrated with peals from the Bells of Congress from the clock tower. Federal tenants included the Institute for Museum Services, National Endowment for the Arts, the National Endowment for the Humanities, and the President's Committee on the Arts and Humanities. (Modular office furniture was used to allow more people to work in the offices, which proved controversial among federal employees used to traditional desks and chairs.) The retail levels, which occupied the first three floors of the building, opened on September 13, 1983. The retail section included a performance space known as the Nancy Hanks Center. Hanks died on January 7, 1983, just weeks before the building's re-opening. The clock tower and observation deck reopened to the public on May 1, 1984. The 1983 renovation won strong praise from architectural critic Benjamin Forgey. The commercial space was designed by the Boston firm of Benjamin Thompson & Associates, and it was leased by Evans Development Co. of Baltimore. More than 50 restaurants and boutique retail stores were anticipated to sublet portions of the three-story retail section, and it was 98% leased at its opening. The building's atrium and retail spaces thereupon acquired the name of "Old Post Office Pavilion". During the mid-1980s, Hillman Properties bought out its partner, Evans Development, and took control of the Old Post Office Pavilion. In October 1986, Congress enacted legislation formally renaming the Old Post Office the Nancy Hanks Center. During 1983, the District of Columbia government and the United States Postal Service created a 14 feet (4 m) by 21 feet (6 m) wooden replica of the Postal Service's new 1984 twenty-cent "Love" stamp (see Post-World War II United States postage stamps and postal history). Starting at the beginning of 1984, replicas of the latest versions of the "Love" stamp were lowered from the spire of the Old Post Office Building's Clock Tower around midnight during each New Year's Eve. Musicians entertained ballroom dancers within the building while fireworks and searchlight beams illuminated the night-time sky and celebrities performed on outdoor stages. At midnight, bells pealed from the tower and neon signs flashed "Happy New Year" amid laser light shows. As 1985 waned, D.C. Mayor Marion Barry predicted: "We're going to outdo New York. We think we might just take over and become the best single event." The stamp became larger over the years. The celebration that marked the beginning of 1986 featured a 900 pounds (408 kg) illuminated replica of that year's twenty-two cent puppy "Love" stamp. By the beginning of 1990, the neon-lighted stamp had reached a size of 20 feet (6 m) by 30 feet (9 m) and a weight of two tons (1814 kg). Up to 100,000 people celebrated at the event during each of its early years. However, after the celebration marking the beginning of 1986 had ended, clean-up crews found a strangled and raped 18-year-old woman dead in a stairwell 100 yards away from an indoor stage at which Cab Calloway had earlier performed. Although the event that marked the beginning of 1988 was orderly and well-attended, the D.C. government withdrew its funding later that year because the event's costs had become prohibitive. Attendance at the event then fell precipitously. As a result, the Postal Service decided in 1990 to stop dropping the stamp. Although the Pavilion hosted a party for 2,500 during which a smaller version of a "Love" stamp descended within the building's atrium to mark the beginning of 1991, the outdoor events disappeared. Despite the positive news about the Old Post Office Pavilion, it was not doing well. GSA imposed conditions on the 1983 renovation that left the retail pavilion looking like an office building rather than a shopping mall. There was also too little retail space, the retail space was poorly configured due to the architectural design of the building, and GSA refused to allow any storefronts on the exterior that would signal that there was retail or restaurants inside. The pavilion's revenues were generated in about equal parts from tourists, local office workers, and local residents. Although most retailers were making money, revenues fluctuated wildly on a seasonal basis. Restaurants had a difficult time earning money, and turnover among them was high. Old Post Office Joint Venture (a group led by Hillman Properties), the developer of the pavilion, was also losing money. Old Post Office Joint Venture (OPOJV) received $166,000 a year in rent from GSA, but its agreement with the federal government called for doubling the size of the retail space to 100,000 square feet (9,300 m2). Approval for that expansion had never been given. OPOJV originally proposed expansion of the retail space into the Internal Revenue Service Building, but this was rejected for security reasons. It then proposed an underground parking lot and pavilion expansion in the area occupied by the IRS building's parking lot, but this, too, was not approved. With the financial situation at the Old Post Office Pavilion worsening, OPOJV proposed building a glass-enclosed annex on the IRS building's parking lot. The proposal was strongly opposed by the D.C. Historic Preservation Review Board. Nonetheless, Congress appropriated $1.7 million for the project and OPOJV agreed to contribute another $15 million. The National Capital Planning Commission also gave its approval to the project. The new East Atrium opened on March 6, 1992. The three level structure had 100,000 square feet (9,300 m2) of interior space and a glass roof. Under the terms of the development agreement, the federal government owned the land beneath the structure, but the building was owned by Hillman Properties. As construction occurred, the Old Post Office Pavilion lost many of its high-end retailers and replaced them with low-end shops selling mugs, souvenirs, T-shirts, and other items aimed at tourists. The East Atrium, however, included larger and more upscale retailers. The addition also featured a 5,000 square feet (460 m2) miniature golf course and bar. The East Atrium was managed by General Growth Properties, which said about 78 percent of the space was leased. The East Atrium was not well received, critically. Architecture critic Benjamin Forgey acknowledged that the building achieved its goals; incorporated many modern architectural design features (such as glass curtain walls, setbacks, and good connections to sidewalks and pedestrian areas); and it added a piece of the 1982 master plan for Federal Triangle. But Forgey called the design by the local architectural firm of Karn Charuhas Chapman & Twohey awkward, with "clunky" proportions and over-heavy elements. The interior, however, won praise for its lightness. A small fire broke out on the west side of the Old Post Office Building between the ninth floor ceiling and the roof on August 26, 1992. Workers repairing the roof accidentally caused the blaze, which began at 3:45 P.M. and was extinguished 45 minutes later. Although small, the fire snarled downtown traffic during the evening rush hour. By October 1993, despite more than 3 million visitors a year, OPOJV was behind on its rent to GSA and in default on its mortgage to Collin Equities (a subsidiary of Wells Fargo). Real estate experts blamed the cost of heating and cooling the vast atrium, heavy tenant turnover, and the lack of a theater for a space below the East Atrium. Although the D.C. Convention and Visitors Association said the Old Post Office was the eighth most-visited attraction in the District of Columbia, retail experts believed it had never made money, and the East Atrium did not bring in enough rent to support the Old Post Office Pavilion. Collin Equities/Wells Fargo foreclosed on OPOJV in October 1993. The bank hired Hill Partners, a real estate management firm from Charlotte, North Carolina, to revitalize the retail aspects of the development. Hill Partners said that improving access to and shoppers' awareness of the retail area, it could double the number of visitors to the Old Post Office to more than 7 million. Hill Partners began reevaluating its tenant mix with a view to adding retailers which D.C. residents needed. It also revealed that the East Atrium was a money-loser, never filling more than half its space. Whether the East Atrium would remain open was not clear. The company agreed, however, to keep the Pavilion area a "festival marketplace" (one which offers a combination of entertainment, food, and retail shops). In March 1995, the Cineplex Odeon Corporation said it would open a seven-screen movie theater in East Atrium (which now had no tenants). But the company pulled out in May 1996, saying it could not reach a lease agreement with Hill Partners. Hill Partners had a difficult time finding any new tenants for the East Atrium and for the Pavilion. Virgin Group said in June 1996 it might build a Virgin Megastore, eight-to-12 screen Virgin Cinema, and possible a rock music-themed restaurant at the Old Post Office. But the company wanted the main building for its retail outlets, not the East Atrium. But nothing came of these discussions. In 1997, a hotel development firm, Denhill D.C. LLC, approached GSA and offered to take over Collins Equities/Wells Fargo lease. The company said it would spend more than $100 million to turn the office space on the upper floors into hotel rooms and open the Pennsylvania Avenue walls to create more access and street-front retail space. In return, the company asked the GSA to extend the 55-year lease to 65 years, and give it the option of adding three more decade-long lease extension options. According to Denhill D.C. officials, the negotiations were so far advanced that they had a management company ready to operate the hotel and retail tenants ready to take space. GSA said it then ended the negotiations over legal concerns that it was about to enter into a long-term lease without advertising it to other bidders. By August 2000, business conditions at the Old Post Office had sunk even lower. Operations there had never turned a profit in 17 years, the vacancy rate in the Pavilion was 80 percent, the East Atrium was closed, and GSA had stopped charging Wells Fargo rent because no income was being generated. Realizing that a retail/office combination was not going to make money, GSA began negotiating with Collins Equities/Wells Fargo to cancel the lease. GSA by now had realized that if retail space was to be retained, it would need to open onto Pennsylvania Avenue NW. But the agency also was considered scrapping the retail floors and turning them into office space or getting rid of both retail and office space to allow the structure to be developed as a hotel. The hotel option was proving far more appealing than in the early 1980s because of the agency's overwhelmingly positive experience in allowing Kimpton Hotels to transform the 170,000-square-foot (16,000 m2) vacant Tariff Commission Building into a 172-room luxury Hotel Monaco. On December 28, 2000, GSA submitted the plan for the Old Post Office, as required by the Omnibus Consolidated and Emergency Supplemental Appropriations Act of 1999. On June 15, 2001, Senators Robert Smith, Harry Reid, Ben Nighthorse Campbell, and Byron Dorgan sent a letter to GSA giving consent for GSA to expend such funds as necessary to acquire by purchase the leasehold rights of the lease at the Old Post Office, if certain conditions were followed. In 2002, lobbyist Jack Abramoff engaged in extensive illegal discussions with GSA chief of staff David H. Safavian an attempt to secure the lease on the structure for a Native American tribal client. Abramoff took Safavian on an all-expenses-paid golf trip to Scotland, during which time they discussed turning the lease over to the unidentified tribe. Savafian was later convicted of perjury for lying about his relationship with Abramoff. The General Services Administration issued a Request for Expression of Interest in 2004 for developing the Old Post Office Building. Several companies expressed interest, but GSA did not proceed further. Beginning in 2002, a major push was made to convert the building into the National Women's History Museum and a bill to do so passed in the United States Senate in 2005. However, local developers, city residents, and members of the House of Representatives were angry that the building would be given away for free. The bill was reintroduced in the 109th United States Congress, although this time the women's museum asked for only the East Atrium. This effort, too, was unsuccessful, even though the East Atrium had broken floor tiles and unfinished interior construction that exposed beams and left gaping holes instead of storefronts. In March 2005, GSA issued a request for information (RFI) and received more than 20 responses. However, the agency did not receive approval from the Office of Management and Budget (OMB) to proceed to a request for proposals (RFP). OMB did not believe that the responses to the RFI showed that redevelopment was in the best financial interest of the federal government, however. In June 2006, as a result of the Mid-Atlantic United States flood of 2006, record-setting rainfall of 12.11 inches (308 mm) fell on Washington, D.C. The basement of the Old Post Office Building flooded, as did the William Jefferson Clinton Federal Building (headquarters of the Bureau of Alcohol, Tobacco, Firearms and Explosives), the Herbert C. Hoover Building (headquarters of the United States Department of Commerce), the Internal Revenue Service Building, the National Archives Building, and the Robert F. Kennedy Department of Justice Building. The Old Post Office Building, one of those on higher ground, reopened after two days. Most of the other buildings remained closed for a week. In 2007, GSA estimated, that it would cost more than $100 million to modernize the structure. GSA also said that while it earned $5.4 million in rent at the Old Post Office Building in 2007, it spent $11.9 million on administrative and maintenance, for a loss of $6.5 million. In 2008, Eleanor Holmes Norton, D.C.'s Delegate to Congress, introduced the "Old Post Office Building Redevelopment Act of 2008" (H.R. 5001) to require GSA move faster on issuing a request for proposals. During hearings before the Subcommittee on Economic Development, Public Buildings and Emergency Management of the House Committee on Transportation and Infrastructure, members of Congress singled out the Old Post Office Building for under-utilization.The legislation passed the House on June 23, and the Senate on September 26. President George W. Bush signed it into law (P.L. 110-359) on October 8. As enacted, the Redevelopment Act required the GSA to proceed with redevelopment of the Old Post Office Building and relocate all federal tenants. It required the GSA to report to the appropriate House and Senate committees regarding any redevelopment agreement, and barred any redevelopment plan from coming into force until 30 days of a continuous session of Congress had passed. On July 12, 2008, the National Capital Planning Commission issued its National Capital Framework, a plan designed to govern development in Washington, D.C. for the next 50 years. The plan was supported by the United States Commission of Fine Arts, the federal agency with legislative authority to approve the aesthetic design of all major buildings in the D.C. metropolitan area. The National Capital Framework specifically asked that the Old Post Office Building be renovated in order to improve public amenities and support the ongoing revitalization of Pennsylvania Avenue. By October 2010, no major redevelopment goals had been met. The House Transportation and Infrastructure Committee strongly criticized GSA in a report for mismanaging the Old Post Office Building. The report specifically accused GSA of not moving to redevelop the property during a real estate boom in 2006. When the boom ended, GSA was stuck with the property, and the House committee accused the agency of losing more than $25 million on maintenance rather than generating income. With pressure building on the White House to deal with billions of dollars worth of excess or underutilized federal property, the Barack Obama administration said it would take action to more quickly dispose of property like the Old Post Office. Rather than sell property at fire sale prices, the administration created a new independent advisory panel to help create a disposal plan for each individual building. D.C. area lawmakers pressed the advisory panel to act immediately on the Old Post Office. Douglas Firstenberg, a principal with StonebridgeCarras, a real estate property management firm that helped the federal government lease buildings, said that historic preservation restrictions and the large number of existing tenants made redevelopment difficult. In March 2011, A new RFP was finally issued by GSA. In all, GSA received 10 bids, most of which were hotels. Among the proposals were a luxury hotel and a National Museum of the Jewish People. Other bidders included The Trump Organization, Carpenter, Monument Realty, JBG Smith, and a partnership of Hilton Worldwide and Metropolitan Partnership, Ltd.
On February 6, 2012, GSA announced that it had chosen The Trump Organization as the potential redeveloper of the Old Post Office Building. The company partnered with Colony Capital, a private equity firm, in its bid. The Trump Organization bid pledged to spend $200 million to turn the structure into a 250-room (later sources said 261-room) luxury hotel. Much of the investment would be in cash, not debt. The hotel would include a conference center, spa, three high-end restaurants, and a 35,000-square-foot (3,300 m2) meeting and banquet facility. The company also pledged to create a small museum dedicated to the history of the building and the Bells of Congress, and to maintain the historic exterior. The Trump Organization also tentatively agreed to pay GSA $3 million a year in rent. The Trump Organization bid touted the involvement of Arthur Cotton Moore, a noted local architect who had renovated historic buildings in the area before and who had helped design the Old Post Office Building renovations in the 1970s. Moore left the effort within less than a year for health reasons. Another preservationist architect, John Cullinane, working on the project resigned "because I couldn't support what they were doing to the building... [t]hey were covering up or tearing out everything that was historic..."
There were many concerns expressed by local residents and historic preservationists by the successful Trump bid. Preservationists believed Trump would not respect the historic nature of the building and had almost no experience renovating historic properties but government officials said any redesign would need to be approved by the Commission of Fine Arts (whose secretary signaled heavy scrutiny for any changes). Trump dismissed concerns that he lacked experience with historic buildings, pointing to his redevelopment of Grand Central Terminal in New York City and the Mar-a-Lago Club in Palm Beach, Florida. Some city residents worried that Trump would block access to the clock tower. However, the National Park Service said it will retain control over the clock tower and observation deck and it will keep them open for tours. Washington Post business columnist Steven Pearlstein questioned the financial wisdom of selecting Trump/Colony Capital, given Trump's extensive problems with bankruptcy and Colony Capital's current problems keeping its hotel properties out of receivership. Pearlstein and local hoteliers argued that the market would not support the room rates Trump wished to charge, and therefore would not be able to support the excessive amount of redevelopment money and rent Trump was paying for the property. Robert Peck, Commissioner of the General Services Administration, defended the selection, arguing that the Trump/Colony Capital bid was by far the best in terms of financial commitment, experience in renovating and managing properties, and quality of design. Peck dismissed criticism about Trump's numerous past bankruptcies, noting that these mostly concerned casinos rather than hotels. There was, however, also the opinion expressed by Washington Post business reporters Petula Dvorak and Jonathan O'Connell that the new Trump hotel would help spark an economic renaissance in the Downtown neighborhood. In March 2012, the Washington Post reported that Monument Realty offered a base rent much higher than that of The Trump Organization. Monument and development partner Angelo, Gordon & Co. proposed a 260,000-square-foot (24,000 m2) office building with a media center on the first three floors. It also proposed demolishing the annex in favor of a parking garage. Monument Realty bid for the building with a lease price of $5.1 million annually, with rent increases based on the building's performance. The Trump Organization, however, offered $200 million in redevelopment dollars, while Monument would have provided just $116.5 million. GSA scored submission based on experience and past performance, design concept, financial capacity and capability, and initial development investment. It was unclear, therefore, that Monument's bid was superior to The Trump Organization's bid. Another bidder, BP-Metropolitan Investors, filed an official protest in April 2012 against GSA for awarding the redevelopment to The Trump Organization. The bidding group, which included Hilton Worldwide, said GSA failed to take into account Trump's repeated bankruptcies and unrealistic economic assumptions. GSA said Metropolitan lost the award because it offered to spend only $140 million to renovate the building. GSA responded to the protest by noting that since the redevelopment was not a procurement, there were no legal grounds for protesting its decision. In the summer of 2012, The Trump Organization asked the District of Columbia to waive possessory interest taxes on the Old Post Office Building. The possessory interest tax was estimated at about $3 million in 2012, although it would likely be far more once the property was fully redeveloped. D.C. tax officials denied the waiver. Pedro Ribeiro, a spokesperson for Mayor Vincent C. Gray, said, "It was never part of the bid proposal that the project would not be subject to the tax." David Orowitz, the Vice President for Acquisitions and Development in The Trump Organization, said that the denial of tax waiver was not a surprise and would not change the financial calculations of the company's bid. Donald Trump later denied seeking any tax waiver. As the clock ticked on the one-year deadline to finalize a deal with GSA, The Trump Organization hired Streetsense, a real estate and retail design firm, to select restaurants and retailers for the Old Post Office Pavilion. Trump chose the company over local real estate developer Douglas Jemal and retail design firm Ashkenazy Acquisition. Tiffany & Co. was among the retailers the company talked to. Six development meetings were held with GSA, the CFA, D.C. government officials, and The Trump Organization between February and December 2012. Determining what was acceptable redevelopment was critical if a final lease agreement was to be signed. The Trump Organization's new design team consisted of the firms Beyer Blinder Belle and WDG Architecture (formerly Edwin Weihe & Associates). 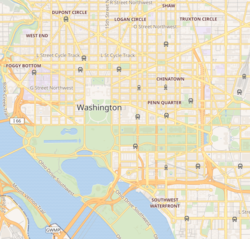 The Trump Organization proposed extending 11th Street NW south of Pennsylvania Avenue NW. City officials asked that a half-block of C Street NW south of the hotel be reopened with redevelopment money, too, but The Trump Organization declined the request. The architectural team proposed adding retail on all four corners of the Old Post Office Building, and building a new mezzanine level inside it (with a restaurant on top and a spa and fitness center below). Historic preservation agencies refused to allow various types of canopies or signs bearing the hotel's name along Pennsylvania Avenue, and six alternative designs for the East Atrium were rejected out of hand by the CFA. But still under consideration was a proposal to convert the lower level of the East Atrium into parking with the upper level retained as a ballroom. By late January 2013, no final lease agreement had been reached. However, both The Trump Organization and GSA said that they were closing in on a deal, and GSA said it was unlikely to reopen the bidding process if one was not reached by the 12-month deadline. Trump officials and GSA attributed the delay to the length of the lease, which created complexities that needed time to be resolved. GSA also said there were also unique issues raised by the building's historic status. Nonetheless, federal law required the GSA to reach a deal by June 2013 or reopen the bidding process. Donald Trump asserted that a deal was "weeks" away in mid-April 2013. But even as he said that, contrary to rumor, he was not seeking to renegotiate his initial agreement with GSA, The Trump Organization re-evaluated its partnership with Colony Capital. Trump said his company was likely to either replace Colony or finance the entire redevelopment deal in cash. GSA officials said any such change would not affect the negotiations. The Trump Organization cleared several regulatory hurdles in April and May 2013. On April 28, the Commission of Fine Arts gave non-binding, preliminary approval to the company's draft redevelopment plan. On May 16, GSA completed an environmental impact assessment (EIA) which concluded the redevelopment would have no significant adverse historic, land use, or transportation impacts. The EIA also concluded that the hotel would generate about $6.5 million per year in hotel bed tax revenue and $1.5 million in sales tax revenue. On June 4, GSA reached a final agreement with The Trump Organization regarding redevelopment of the Old Post Office building. The Trump Organization negotiated a 60-year lease under which it paid $250,000 in rent per month, with annual increases tied to the Consumer Price Index. Rent payments were to begin either eight months after construction started or 20 months after the lease's signing, whichever came first. The company had the option to extend the lease another 40 years. The Trump Organization agreed to spend at least $200 million redeveloping the property, with Trump using his personal funds to pay for the redevelopment. To allay concerns by critics that he too often defaulted on developments, Trump agreed to provide a $40 million personal guaranty as well as a "bad acts" (to cover failure to pay taxes, fraud, or other forms of misconduct). The Trump Organization agreed to pay all taxes, although the lease did not bar the company from seeking a historic preservation tax credit. The Trump Organization agreed to turn the Old Post Office building into a 260-room hotel (although some sources said there would be 267 rooms, some said 270, some said 271, and others 275). Many of the rooms would have 25-foot (7.6 m) high ceilings, although most ceilings would be 14-to-16-foot (4.3 to 4.9 m) high. The average room was expected to be 600 square feet (56 m2) in size, and the hotel would have a higher percentage of suites and larger-than-average rooms to draw corporate executive and diplomats. In what were formerly the offices of the Postmaster General of the United States, the company planned two "presidential suites" of 3,000 square feet (280 m2) each with 16-foot (4.9 m) ceilings. Each presidential suite would have a working fireplace, sauna, steam room, walk-in closet, direct-access elevators, and views of Pennsylvania Avenue NW and the National Mall. Redevelopment plans included an art gallery, café, bar, fitness center, library, lounge with fountain, meeting rooms, spa, two or three upscale restaurants, several luxury retail shops, a 4,000-square-foot (370 m2) Mar-a-Lago brand spa, and a small museum about the building, its clock tower, and its bells. The Trump Organization agreed to continue to allow the public access to the clock tower and observation platform. The National Park Service agreed to operate the clock tower tours. The exterior of the building (including the multicolor brick and granite pavement designed by Aleksandra Kasuba) would be preserved in its historic state. Pending approval by regulatory authorities, The Trump Organization proposed building a floor over the ground level (turning the mezzanine into a floor), although the grand staircase would remain. Most of the retail would occupy the ground and second floor, while the historic Stamp Counter on the east side of the ground floor would become the hotel registration desk. Major changes would be made to the 86,000-square-foot (8,000 m2) East Atrium and the streets around it. The Trump Organization intended to convert the 34,400-square-foot (3,200 m2) basement level into a 150-space parking garage, with a 31,600-to-35,000-square-foot (2,940 to 3,250 m2) ballroom on the ground level and 20,000 square feet (1,900 m2) of conference room space on the second floor. The ballroom's size would make it the largest in any luxury hotel in the city. The city agreed to extend 11th Street NW into the Federal Triangle south to C Street NW to provide access for automobiles. The Old Post Office Building's entrance on 11th Street NW would again be the structure's main entrance (opening the door on the long-closed side of the building). Pending final regulatory approval, a new steel and glass canopy will be constructed over the new entrance and a "Trump International Hotel" sign suspended inside the entrance arch. The 12th Street NW entrance would become the secondary entrance, providing public access to the restaurants and retail stores. Awnings would be over windows and the entrance on the ground floor, and a sign for the hotel added over the entrance. Outdoor seating would be added on the 12th Street NW, 11th Street NW, and Pennsylvania Avenue NW sides of the building. C Street NW would not be reopened to automobile traffic. The Trump Organization said it would remove the ahistoric glass and steel ground floor storefront on the C Street side and expand and renovate the public plaza there by adding outdoor seating and a performance space. With the lease signed, Ivanka Trump said construction would begin immediately after the building was turned over to The Trump Organization. On November 14, 2016, the National Park Service approved Part 2 of the Trump organization's application for a tax credit in the amount of 20% of the rehabilitation cost of the building, estimated in the original application at $160 million. The final step would be the filing of Part 3 to collect the tax credit on the actual cost upon the completion of the construction. Under the 2008 redevelopment law, Congress had 30 days to disapprove the lease or it would become final. Anticipating no problems from the legislature, GSA began relocating the existing federal tenants in the Old Post Office Building. Another major regulatory hurdle was cleared by The Trump Organization in early July 2013. The staff of the National Capital Planning Commission recommended to the agency that it approve the redevelopment plans. The NCPC staff report suggested that GSA and The Trump Organization continue to work on exterior signage designs to ensure they are appropriate. The full commission approved the staff report and gave preliminary approval to the company's building plans. The NCPC asked the organization to return in fall 2013 with final plans. On August 5, 2013, Congress allowed the lease between GSA and The Trump Organization to go into force. The Washington Business Journal reported that the lease called for a 263-room (another source said 270-room) hotel and for Trump to spend $250 million on renovations. The D.C. Preservation League (the former Don't Tear It Down) said it supported the Trump redevelopment of the site. The Trump Organization hired the interior design firm of Hirsch Bedner Associates to work on the interior of the Old Post Office Building. The $200 million renovation began on May 1, 2014, with the closure of the clock tower. Changes to the structure's exterior included the removal of the words "OLD POST OFFICE" from the central arch of the building's main entrance and the placement beneath that arch of a bar containing the words "TRUMP INTERNATIONAL HOTEL". The Trump Organization initially entered into contracts with chefs José Andrés and Geoffrey Zakarian to open restaurants in the atrium and in the northwest corner of the Organization's planned new hotel. However, both chefs pulled out of the deals after Donald Trump made controversial public comments about Mexicans in June 2015, before the hotel had opened. The ensuing legal disputes were settled in April 2017. For 16 years until 2015, the Sakura Matsuri-Japanese Street Festival, the largest Japanese Cultural Festival in the United States, took place throughout a spring-time day on Pennsylvania Avenue in front of the Old Post Office Building. The Festival's location enabled the event to be near the route of the annual Cherry Blossom Parade, which traveled nearby along Constitution Avenue during the same day (see National Cherry Blossom Festival). However, in 2016 and 2017, the Street Festival's organizers were forced to move their event to a distant location in Washington, D.C. The Festival's relocation became necessary after the Trump Organization negotiated a deal with the Government of the District of Columbia that requires a 20 feet (6 m)-wide lane on Pennsylvania Avenue to remain open to the Trump International Hotel's customers and valet parking service except during major events such as presidential inaugural parades, thus leaving insufficient space on the Avenue for the festival's activities and for those of other events formerly held near the building. On the day before Trump's inauguration, Donald Trump and Michael Pence attended a "Leadership Luncheon" with his cabinet nominees and major donors at the Presidential Ballroom in the Trump International Hotel at the Old Post Office Pavilion in which attendees paid $1 million. Ivanka Trump assisted in resolving disputes between the Inauguration Committee and the Hotel staff. After Donald J. Trump was inaugurated as President of the United States, the Trump International Hotel became the focus of legal controversy. World leaders stated Trump was encouraging emissaries to stay at Trump hotels while visiting. Trump family members, such as Ivanka, have profited from their stake in the hotel while Donald Trump has been president. In January 2017, a lawsuit against Trump was brought by Citizens for Responsibility and Ethics in Washington (CREW) and several prominent legal scholars—including Laurence Tribe of Harvard Law School, former White House Special Counsel for Ethics and Government Reform Norman L. Eisen, Erwin Chemerinsky of the UC Irvine, and Zephyr Teachout of Fordham University. The lawsuit argues that Trump is in violation of the Foreign Emoluments Clause of the United States because his hotels, as well as other businesses, are accepting payments from foreign guests. The suit is pending in the U.S. District Court for the Southern District of New York. On June 12, 2017, the Attorney General Karl Racine of the District of Columbia and Attorney General Brian Frosh of Maryland filed a joint lawsuit in the United States District Court for the District of Maryland against President Trump alleging both foreign and domestic emoluments clause violations of the United States Constitution. Similar to CREW v. Trump, Attorneys General Racine and Frosh cite The Trump Organization receipt of foreign money at Trump Hotels and other businesses as a violation of the constitution, and that this transaction negatively affects the economy of Washington, D.C. and Maryland, as well as the best interests of the American public. On June 14, 2017, lead by Senator Richard Blumenthal and Representative John Conyers, Jr., more than a third of the voting members of Congress filed a lawsuit alleging violations of the Foreign Emoluments Clause seeking the right to be informed of and approve of gifts from foreign governments before they are received. The lawsuit makes specific allegations concerning attempts to solicit foreign governments at the Old Post Office building. The Trump Organization's lease contract with the U.S. General Services Administration, signed in 2013, provides that "no elected official of the government ... shall be admitted to any share or part of this Lease, or to any benefit that may arise therefrom." In a letter to the GSA, Citizens for Responsibility and Ethics in Washington wrote: "Elected government officials are barred from receiving any benefit under the lease, and now that Mr. Trump has been sworn in today as President of the United States, Trump Old Post Office LLC, a company he largely owns, is in violation of the lease's conflicts-of-interest provision." Since Trump's election as president, Democrats have taken the position he "must fully divest himself of all financial interests in the lease to be in compliance with the legal agreement." In February 2017, Senators Tom Carper and Claire McCaskill (the Democratic ranking members of the Homeland Security and Governmental Affairs Committee and its Permanent Subcommittee on Investigations, respectively) wrote a letter to the GSA inspector general, writing: "Since President Trump took the oath of office, the Trump Old Post Office, LLC appears to be in breach of the plain language of the lease agreement." They requested an inspector general inquiry. In March 2017 the GSA announced that they considered the tenant of the property to be in full compliance with the terms of the lease, following a reorganization of the hotel's organizational structure and the placing of the property in a revocable trust. On August 30, 2017, Bloomberg BNA reported that both the Government Accountability Office (GAO) and the GSA Inspector General's Office of Inspections had confirmed that they were evaluating GSA's management and administration of the lease. In January 2019, GSA General Counsel Jack St. John agreed with the single recommendation from Carol F. Ochoa's 47-page report in which the President's business interest in the Trump International Hotel at the Old Post Office building might constitute a violation of the emoluments clause and this might cause a breach of the lease. President Donald Trump responded to the emolument clause allegations by outlining a plan where payments from foreign guests would be paid into the U.S. Treasury and to the GSA contract issues by placing his holdings into a trust directed by his children. This plan was criticized by Walter M. Shaub, the Director of the U.S. Office of Government Ethics, who stated that "the plan does not comport with the tradition of our Presidents over the past 40 years" and was at odds with past practice, since "...every President in modern times has taken the strong medicine of divestiture." During the presidency of Donald Trump, the Old Post Office has become a frequent location of political protests. During the evening of May 15, 2017, artist Robin Bell projected messages onto the hotel's facade that stated, among other things, "Emoluments Welcome," along with an animation of the flags of nations in which Trump had business projects. On January 13, 2018, after Trump reportedly used the word "shithole" at a meeting, Bell projected onto the facade the message "Not a D.C. resident?" / "Need a place to stay?" / "Try our shithole". Following the March for Our Lives anti-gun violence rally on March 24, 2018, many rally-goers left their signs by the hotel. The Old Post Office Building's 315-foot (96 m) clock tower is the third-highest building in Washington, D.C., after the Washington Monument and the Basilica of the National Shrine of the Immaculate Conception. The tower's 270-foot-high (82 m) observation deck offers panoramic views of the city and its surroundings. The tower includes an exhibit depicting the building's long struggle for survival and a view of the interior workings of the illuminated clock. The Clock Tower houses the Bells of Congress (also known as the Ditchley Bells), which the Whitechapel Bell Foundry cast and are replicas of bells in Westminster Abbey. Sir David Wills, founder of the Ditchley Foundation, donated the bells to the United States in commemoration of the nation's 1976 Bicentennial. However, the bells were not brought to the United States and installed in the Clock Tower until 1983. The 10-bell peal consists of bells ranging from 300 to 3,000 pounds (140 to 1,360 kg) and from 2 to 4.5 feet (0.61 to 1.37 m) in diameter. Their composition is 78 percent copper and 22 percent tin. Each bell features the Great Seal of the United States, the Great Seal of the Realm, and an image of the flower London Pride in relief. Because the tower was not designed to hold bells, the architectural firm of Skidmore, Owings and Merrill and the structural engineering firm Cagley & Associates were hired to modify the tower so that it could accommodate the weight of the bells and the stress of their swings. The Washington Ringing Society sounds the Bells of Congress every Thursday evening and on special occasions. The official bells of the United States Congress, they are one of the largest sets of change ringing bells in North America. Tower visitors can see the colored ropes that the bell-ringers pull to sound the bells but not the bells themselves, although plans are in the works to open a viewing area for the bells as well. Prior to the 2014 renovation, National Park Service rangers provided tours of the Clock Tower. After stopping for three years during the tower's renovation, the ranger tours resumed in February 2017. The service continued during the United States federal government shutdown of 2018–2019 of "all but the most essential" federal government services, including the National Park Service. ^ (1) Meyer, Eugene L. (May 27, 2014). "A Trump Makeover for Washington's Old Post Office". The New York Times. Retrieved October 1, 2016. (2) O'Connell, Jonathan (August 17, 2012). "How the Trumps Landed the Old Post Office Pavilion". The Washington Post. Retrieved October 1, 2016. (3) Grant, Peter (2016-02-08). "Trump Hotel in Washington, D.C., to Open Ahead of Schedule". The Wall Street Journal. Retrieved 2016-02-08. (4) Roston, Aram; Wagner, Daniel (August 2, 2016). "Trump Gave His Kids A Big Stake In Huge Government Deal, Document Shows". BuzzFeed News. Retrieved October 1, 2016. (5) Craig, Susanne; Lipton, Eric (February 3, 2017). "Trust Records Show Trump Is Still Closely Tied To His Empire". The New York Times. Retrieved February 4, 2017. ^ (1) September 12, 2016 Trump International Hotel Opens in DC; grand-opening ceremonies planned for October. Fox 5 DC. Retrieved: October 1, 2016. (2) Smith, David (September 12, 2016). "Trump not 'welcome here': opening of DC hotel met with protests". The Guardian. Retrieved 2016-10-01. ^ a b Rhodan, Maya. "Inside Donald Trump's New Washington, D.C. Hotel". Retrieved 29 November 2016. ^ a b "The Post Office Site". The Washington Post. August 30, 1890. ^ a b c d Struck, Myron. "Old Post Office Revived". The Washington Post. April 16, 1983. ^ a b c Benedetto, Donovan, and Du Vall, p. 166. ^ a b c d Burke and Powers, p. 94. ^ a b c "Architectural Description". Old Post Office, Washington, DC. Washington, D.C.: General Services Administration. Archived from the original on November 26, 2017. Retrieved November 26, 2017. ^ a b Pennoyer and Walker, p. 162. ^ a b c d Moeller and Feldblyum, p. 129. ^ a b Evelyn, Dickson, and Ackerman, p. 75-76. ^ a b c d "New Post Office Building Is Not a Great Success". The New York Times. January 21, 1900. ^ a b c d e f g h i j Gamarekian, Barbara. "Old Post Office Building Becomes a 'Star Project'". The New York Times. March 4, 1983. Accessed 2013-09-12. ^ a b c "Too Crowded for Comfort". The Washington Post. September 15, 1899. ^ a b "Congress and the Questions of Expansion and Increased Armaments Confronting It". The New York Times. November 6, 1898. ^ "Fell Down the Shaft". The Washington Post. October 1, 1899; "Died". The Washington Post. October 2, 1899. ^ a b "The New Municipal Building". The Washington Post. December 16, 1902. ^ Subcommittee on Public Buildings and Grounds, p. 60. ^ Scott and Lee, p. 170. ^ Moffett, Samuel E. "Washington, Despite Departure from L'Enfant's Plans, to Be in Time the Most Beautiful Capital City in the World". The Washington Post. July 22, 1906. ^ "Public Building Plan.' The Washington Post. December 5, 1906. ^ a b c d Kelly, John (March 1, 2012). "Fond Memories of the Old Post Office". Local. The Washington Post. Retrieved April 26, 2017. ^ (1) "Old P.O. Clock-Weight Goes Through 2 Floors". The Washington Post and Times Herald. October 11, 1956. p. 1. Retrieved April 26, 2016. (2) "Negligence Is Ruled Out In Old PO Clock Mishap". Real Estate. The Washington Post and Times Herald. October 20, 1956. p. D9. Retrieved April 26, 2017. ^ "$165,000,000 Public Building Measure Signed by Coolidge". The Washington Post. May 26, 1926. ^ Whitaker, Charles B. "Building for the Glory of Washington". The New York Times. March 6, 1927. ^ "Architects Chosen to Advise on Plans for Mall Triangle". The Washington Post. May 20, 1927. ^ "Triangle Sites Studied by Architectural Board". The Washington Post. July 12, 1927. ^ Gutheim and Lee, p. 181-195. ^ a b Speers, L.C. "Washington's Aspect Is Undergoing Change". The New York Times. March 18, 1928. ^ McCormick, Anne O'Hare. "Building the Greater Capital". The New York Times. May 26, 1929. ^ a b Goode, P. 13. ^ a b Adams, Mildred. "Washington Triangle Grows". The New York Times. October 7, 1934. ^ "U.S. Triangle Buildings to Be Up Within Year". The Washington Post. November 7, 1934. ^ "Thomas Renews Fight to Save 50-Year-Old Post Office Building". The Washington Post. May 1, 1938. ^ Fodor's Flashmaps Washington, D.C., p. 55. ^ Bednar, p. 24; Glazer, p. 151. ^ Schrag, p. 68; Hess, p. 115; Hodgson, p. 80. ^ White, Jean M. "Pennsylvania Ave. Designs Must Win Johnson's Support". The Washington Post. December 12, 1963. ^ "White, Jean M. "Kennedy-Inspired 'Grand Design' For New Pennsylvania Ave. Unveiled". The Washington Post. May 31, 1964. ^ Richard, Paul. "Federal Triangle Action Asked". The Washington Post. September 10, 1966. ^ Blair, William. "Fate of Panel on Restyling of Pennsylvania Avenue Is in Nixon's Hands After Congress Deletes Funds". The New York Times. October 26, 1969. ^ "Nixon Signs Avenue Bill". The Washington Post. October 31, 1972. ^ Eisen, Jack and Fiske, Phineas R. "Drive Starts to Demolish Tower in NW". The Washington Post.February 6, 1970. ^ "Clock Tower's Time Draws Near". The Washington Post. March 5, 1970. ^ Von Eckardt, Wolf. "Why Can't We Keep the Old Post Office and Enjoy It?" The Washington Post. March 8, 1970. ^ Von Eckardt, Wolf. "Catalytic Castle in the Triangle". The Washington Post. January 30, 1971; "Pennsylvania Avenue Projects Changed; Post Office to Open". AIA Journal. September 1981, p. 22. ^ Levy, Claudia. "Rally Seeks to Save Old D.C. Landmark". The Washington Post. April 19, 1971. ^ Levy, Claudia. "Old Post Office Hearing". The Washington Post. April 22, 1971. ^ Scharfenberg, Kirk. "Restoration Considered For Post Office Building". The Washington Post. July 1, 1971. ^ Eisen, Jack. "76 Finish Sought for 'Triangle'". The Washington Post. January 25, 1972. ^ Combes, Abbott. "Gravel Seeks to Prevent Razing of Old Post Office". The Washington Post. April 21, 1972. ^ Green, Stephen. "Funds Denied For Building Grand Plaza". The Washington Post. June 20, 1972. ^ Goodin, Emily. "Trump Unveils Plan for Luxury Hotel at Historic Old Post Office Pavilion". The Hill. September 10, 2013. Accessed 2013-09-12. ^ Scharfenberg, Kirk. "GSA Moves to Save Old Post Office". The Washington Post. March 23, 1973. ^ Gorney, Cynthia. "Historic Old Post Office Building Saved for Avenue's Grand Plan". The Washington Post. September 5, 1975. ^ Conroy, Sarah Booth. "Bold Renovation of Old Post Office Set". The Washington Post. June 3, 1977; Eisen, Jack. "$18 Million Appropriated to Convert Old Post Office". The Washington Post. July 28, 1977; Bruske, Ed. "The Case of The Vanishing Old Post Office". The Washington Post. July 12, 1979. ^ a b c d e Spinner, Jackie. "The Flop on Main Street". The Washington Post. August 7, 2000. ^ Ringle, Ken (September 14, 1983). "Renovated Interior Gets Boutique Stamp". The Washington Post. ^ a b Mayer, Caroline E. (September 12, 1983). "Old Post Office Awakens To New Life on the Avenue". The Washington Post. ^ Pearson, Richard. "Nancy Hanks, 55, Dies". The Washington Post. January 9, 1983. ^ Guillermoprieto, Alma (May 2, 1984). "Bells Ring Out At Opening of Old Post Office Tower". The Washington Post. ^ Forgey, Benjamin (April 16, 1983). "The Old Post Office Delivers". The Washington Post. ^ Forgey, Benjamin (September 13, 1983). "Old Post Office: Brilliant Rebirth". The Washington Post. ^ a b Grimsley, Kirstin Downey (October 22, 1993). "Post Office Pavilion Faces Foreclosure; Popular Attraction Is Behind in Its Rent". The Washington Post. Archived from the original on August 4, 2017. ^ "Old Post Office Pavilion". The District: The Tourist's Guide to Washington, D.C. Big Fish Design. 2016. Archived from the original on November 25, 2017. Retrieved November 25, 2017. ^ Tuck, Lon (October 7, 1986). "Old Post Office Renamed After Nancy Hanks". The Washington Post. ^ a b c d e Wan, William (December 31, 2008). "Forget the Big Apple — Drop a Peach". Metro. The Washington Post. Retrieved January 6, 2018. ^ a b c Barker, Karlyn (December 21, 1983). "City to Throw Downtown Bash New Year's Eve". Politics. The Washington Post. Retrieved January 7, 2018. ^ a b c United Press International (January 1, 1984). "Celebrations Usher in New Year". TimesDaily. Florence, Alabama. p. 1. Retrieved January 6, 2018 – via Google News. ^ (1) "20-Cent Love Regular Stamp" (PDF). Postal Bulletin. Washington, D.C.: United States Postal Service. 104 (21437): 1. December 22, 1983. Retrieved January 7, 2018. (2) "1984 Love Issue". Arago: People, Postage & The Post (Philately). Washington, D.C.: Smithsonian National Postal Museum. Archived from the original on January 7, 2018. Retrieved January 7, 2018. ^ a b c "Love" (PDF). American Philatelic Society. 2011. pp. 6–7. Retrieved January 7, 2018. ^ Winick, Les (April 7, 1985). "Usps Sends Its Fourth Message Of Love To Avid `Special Regular` Fans". Chicago Tribune. Retrieved May 13, 2018. The first of the four love stamps was issued on Jan. 26, 1973, and was designed by painter Robert Indiana. .... The new stamp to be issued April 17 was drawn by Bostonian Corita Kent, who is well known for her bright and colorful paintings. The design had its debut at midnight Dec. 31, 1984, when an 1,100 pound, 12- by 20-foot replica of the design slid down a 240-foot cable from the tower of the Old Post Office Building in Washington, D.C. More than 65,000 people saw the unveiling of the stamp. ^ a b c Stevenson, Douglas (December 5, 1986). "Dazzling Fete To Ring In '87". Local. The Washington Post. Retrieved January 7, 2018. ^ a b c d e f Twomey, Steve (December 29, 1990). "Should D.C. 'Love' Stamp Be Forgot On New Year's?". The Washington Post. Retrieved January 6, 2018. ^ a b c Associated Press (January 2, 1986). "Nation greets New Year with parades and parties". The Free Lance-Star. Fredericksburg, Virginia. p. 19 – via Google News. A crowd estimated at 100,000 brought in the New Year on Pennsylvania Avenue in Washington, D.C.
^ (1) "22-Cent Love Regular Stamp" (PDF). Postal Bulletin. Washington, D.C.: United States Postal Service. 106 (21546): 1. December 26, 1985. Archived from the original (PDF) on January 7, 2018. Retrieved January 7, 2018. (2) "1986 Love Issue". Arago: People, Postage & The Post (Philately). Washington, D.C.: Smithsonian National Postal Museum. Archived from the original on January 7, 2018. Retrieved January 7, 2018. (4) Dunn, John F. (February 2, 1986). "Stamps; Is It Too Cute?". Arts: Stamps. The New York Times. Archived from the original on January 7, 2018. Retrieved January 7, 2018. ^ a b Sanchez, Rene; Thomas, Pierre (January 1, 1988). "Old Post Office Crowd Stamps in New Year". Local. The Washington Post. Retrieved January 6, 2018. A vast and well-behaved throng of 100,000 high-spirited, hand-waving, horn-honking revelers burst into cheers last night as the descent of the new Love Stamp from the Old Post Office tower ended the old year and ushered in 1988. ^ (1) Associated Press (January 2, 1986). "Woman found dead after D.C. gala". The Free Lance-Star. Fredericksburg, Virginia. p. 19 – via Google News. (2) Walsh, Elsa (July 8, 1986). "New Year's Eve Party Strangler Gets 10 Years". Local. The Washington Post. Retrieved January 6, 2018. .
^ a b Iovino, Jim (December 31, 2009). "No "Love" for D.C.'s New Year's Eve: Dropping a stamp seemed like good idea". NBC4 Washington. NBCUniversal Media, LLC. Archived from the original on January 6, 2018. Retrieved January 6, 2018. ^ Tuck, Lon (October 7, 1986). "A GRAND VISION REALIZED". The Washington Post. ^ a b c Hilzenrath, David S. "Old Post Office Passes First Test for Expansion". The Washington Post. October 15, 1988. ^ Swisher, Kara. "The New Look Down at the Old Post Office". The Washington Post. March 5, 1992. ^ Forgey, Benjamin. "Facets of an Unpolished Jewel". The Washington Post. March 7, 1992. ^ "Old Post Office Fire Snarls Traffic". The Washington Post. August 27, 1992. ^ a b Pressler, Margaret Webb and Haggerty, Maryann. "Cineplex Odeon Plans Movie Theater at Old Post Office Pavilion". The Washington Post. March 29, 1995. ^ Pressler, Margaret Webb. "Injecting New Life Into the Old Post Office". The Washington Post. September 6, 1994. ^ a b Pressler, Margaret Webb. "Cineplex Odeon Quits Project". The Washington Post. May 2, 1996. ^ Faiola, Anthony and Pressler, Margaret Webb. "Virgin Group Plans 2 D.C. Complexes". The Washington Post. June 21, 1996. ^ a b "S. Rept. 110-501 - OLD POST OFFICE BUILDING REDEVELOPMENT ACT OF 2008". United States Congress. September 24, 2008. ^ OVERBY, PETER (April 20, 2006). "In Abramoff E-Mails, the Subtle and the Not-So". NPR. ^ Grimaldi, James V.; Schmidt, Susan (February 11, 2006). "Abramoff Pressed GSA Contact on Getting Land". The Washington Post. ^ "Abramoff friend's conviction upheld". United Press International. May 13, 2011. ^ "H. Rept. 110-724 - OLD POST OFFICE BUILDING REDEVELOPMENT ACT OF 2008". United States Congress. 2008. ^ Trescott, Jacqueline (March 3, 2006). "Women's Museum Supporters Renew Efforts in the House". The Washington Post. ^ "NATIONAL WOMEN'S HISTORY MUSEUM ACT OF 2005". U.S. Government Publishing Office. July 18, 2005. ^ KUCINICH, JACKIE (March 2, 2006). "Group tries to move stalled women's history museum bill". The Hill. ^ Krouse, Sarah (November 7, 2011). "GSA seeking Old Post Office redevelopment — again". American City Business Journals. ^ a b Killian, Erin (January 17, 2008). "Norton bill would require faster action on Old Post Office site". American City Business Journals. ^ Ginsberg, Steven; Samuels, Robert (June 28, 2006). "No Rest for the Wet and Weary". The Washington Post. ^ Schwartzman, Paul; Greenwell, Megan (June 28, 2006). "Justice Dept., Archives and IRS to Stay Shuttered Rest of Week". The Washington Post. ^ a b O'Keefe, Ed; O'Connell, Jonathan (October 28, 2010). "Federal office space cost cuts underway". The Washington Post. ^ O'Connell, Jonathan (November 1, 2010). "GOP blasts property oversight". The Washington Post. ^ O'Keefe, Ed (March 2, 2011). "White House revamping plan to sell federal buildings". The Washington Post. ^ O'Keefe, Ed; O'Connell, Jonathan (October 19, 2011). "Georgetown landmark to be sold by federal government". The Washington Post. ^ O'Connell, Jonathan (November 6, 2011). "Old Post Office gets another suitor: Hilton". The Washington Post. ^ O'Connell, Jonathan (February 7, 2012). "Old Post Office to Become 250-Room Trump Hotel". The Washington Post. ^ a b c O'Connell, Jonathan (February 12, 2012). "Trump deal could be first of several in downtown area". The Washington Post. ^ a b c d e f g h i O'Connell, Jonathan. "Trumps Discuss Plans for Old Post Office". The Washington Post. August 18, 2012. ^ a b c d Pearlstein, Steven. "What D.C. Doesn't Need: A Trump Tower". The Washington Post. February 12, 2012. ^ "Veteran Architect Leaves Trump Team On Old Post Office Project". Washington Business Journal. October 1, 2012. ^ a b c d e Dvorak, Petula (February 10, 2012). "Trump Will Fit Right in on Pennsylvania Avenue". Local. The Washington Post. Archived from the original on November 26, 2017. Retrieved November 26, 2017. ^ a b c d Goodin, Emily. "Trump Unveils Plan For Luxury Hotel at Historic Old Post Office Pavilion". The Hill. September 10, 2013. Accessed 2013-09-13. ^ a b c d e f g h O'Connell, Jonathan. "Donald and Ivanka Trump Unveil Plans For Glitzy Hotel at Old Post Office Pavilion". The Washington Post. September 10, 2013. Accessed 2013-09-13. ^ "Monument's Idea for Old Post Office: Newseum and the National Press Club Wrapped Into One". Washington City Paper. July 22, 2011. Accessed 2013-09-14. ^ O'Connell, Jonathan. "Monument Realty Offered Feds More Than Trump for Old Post Office Pavilion". The Washington Post. March 12, 2012. ^ a b c d e Brune, Tom. "Trump Sees Hotel in D.C. Landmark". Newsday. August 11, 2013. ^ Shoop, Tom. "Despite Challenges, Trump and GSA Still a Team". Government Executive. June 20, 2012. ^ The federal government owns a large amount of property in the District of Columbia. The U.S. Constitution bars state and local governments from taxing the federal government. In order to prevent private businesses from evading property taxes by renting space from the federal government, the District of Columbia in 2000 enacted a "possessory interest tax" that captures much of the same revenue from those businesses leasing space from the federal government. ^ Neibauer, Michael. "Trump Seeks Relief From D.C. Tax on Old Post Office Hotel". Washington Business Journal. January 7, 2013. ^ a b O'Connell, Jonathan. "D.C. Rebuffs Trumps' Bid For Tax Relief". The Washington Post. January 28, 2013. ^ a b Sernovitz, Daniel J. "Donald Trump Says Old Post Office Talks Nearly Done". Washington Business Journal. April 10, 2013. ^ a b c O'Connell, Jonathan. "Trump: Deal On Old Post Office Close". The Washington Post. April 11, 2013. ^ O'Connell, Jonathan. "Trumps Sign Up Local Advisers". The Washington Post. September 24, 2012. ^ O'Connell, Jonathan. "Glamour Bends to Rules About History". The Washington Post. December 3, 2012. ^ a b c Sernovitz, Daniel J. "Trump Goes Into Overtime On Old Post Office Negotiations". Washington Business Journal. March 4, 2013. ^ O'Connell, Jonathan. "Trumps Weigh Partnership with Colony". The Washington Post. April 15, 2013. ^ O'Connell, Jonathan and Bhattarai, Abha. "Design for Old Post Office Earns Early Approval". The Washington Post. April 29, 2013. ^ Sernovitz, Daniel J. "Donald Trump Clears Regulatory Hurdle on Old Post Office Redevelopment Plan". Washington Business Journal. May 21, 2013. ^ a b c d O'Toole, James. "U.S. Taps Donald Trump to Convert DC's Old Post Office Into Luxury Hotel". CNNMoney.com. June 5, 2013. ^ a b c d e f Sernovitz, Daniel J. "Trump On the Hook for D.C. Possessory Interest Taxes". Washington Business Journal. June 5, 2013. ^ a b c d e f g h i O'Connell, Jonathan. "Trumps Agree to Terms of Old Post Office Project". The Washington Post. June 6, 2013. ^ a b c Clark, Charles S. "GSA and Trump Ink Final Deal on Washington Old Post Office". Government Executive. June 5, 2013. ^ a b c d e "GSA and Trump Organization Come to Agreement on Old Post Office Lease". Travel & Leisure Close-Up. June 11, 2013. ^ a b c d e f g h i j Neibauer, Michael. "Inside Plans for Trump International Hotel, aka the Old Post Office". Washington Business Journal. July 8, 2013. ^ "Trump Outlines Hotel Plans". The New York Times. September 11, 2013. ^ a b c "Trumps Promise Greatness for Downtown DC Hotel". Associated Press. September 10, 2013. ^ a b c Sernovitz, Daniel J. "A By-the-Numbers Look At Donald Trump's Old Post Office Unveiling". Washington Business Journal. September 10, 2013. Accessed 2013-09-15. ^ a b c d e O'Connell, Jonathan. "Trump's Place". The Washington Post. August 20, 2012. ^ Roston, Aram (November 30, 2016). "Trump's Post-Election Tax Subsidy". BuzzFeed News. Retrieved December 10, 2016. ^ Fox, Emily Jane (December 1, 2016). "It's Happening: Donald Trump Already Got a Post-Election Business Break". Vanity Fair. Retrieved December 10, 2016. ^ Sernovitz, Daniel J. "NCPC Preliminarily Backs Old Post Office Redevelopment". Washington Business Journal. July 12, 2013. ^ "Trumps Reach Lease Deal on Old Post Office in D.C." Politico. August 6, 2013. ^ a b Sernovitz, Daniel J. "Trump Organization Signs Lease for Old Post Office". Washington Business Journal. August 5, 2013. ^ Nycz-Conner, Jennifer. "A Glimpse Inside the New Interior of the Old Post Office". Washington Business Journal. September 11, 2013. ^ Sernovitz, Daniel J. (April 24, 2014). "Want to Visit the Old Post Office Tower? Better Hurry". Washington Business Journal. Retrieved April 25, 2014. ^ 2013 and 2016 photographs of arches in main entrance to Old Post Office Pavilion in Wikimedia Commons. ^ Wang, Jennifer. "Trump's D.C. Hotel Officially Opens, But Trouble Has Dogged The Iconic Property Since The Start". Retrieved 29 November 2016. ^ Fox, Emily Jane (November 11, 2016). "Trump's D.C. hotel is a frightful dump - and a scary metaphor for the Trump presidency". Vanity Fair. ^ (1) Freed, Benjamin (December 20, 2016). "Luxury Travel Group Gives Trump's DC Hotel a Brutal Review". Washingtonian. Retrieved December 20, 2016. (2) Calfas, Jennifer (December 21, 2016). "Luxury travel group puts Trump's 'garish' DC hotel on worst list". The Hill. (3) Gauthier, Brendan (December 21, 2016). "Donald Trump's new D.C. hotel ranks really badly, according to luxury travel site". Salon.com. (4) Sharman, Jon (December 22, 2016). "Donald Trump's new Washington DC hotel is branded one of the world's worst". Independent. ^ Everson, Zach (May 2, 2018). "Inside the World's Most Controversial Hotel". Condé Nast Traveler. ^ "Forbes Travel Guide Trump International Hotel Washington, D.C." www.forbes.com. Retrieved 2019-03-18. ^ "TRUMP INTERNATIONAL HOTEL WASHINGTON D.C. - Updated 2019 Prices & Reviews (Washington DC)". TripAdvisor. Retrieved 2019-03-18. ^ (1) "How Donald Trump Lost His DC Restaurants". Washingtonian. 2016-10-23. Retrieved 2016-10-24. (2) Larson, Erik (April 11, 2017). "Trump Settles Second Suit Against Chef Who Ditched D.C. Hotel". Bloomberg News. Retrieved April 13, 2017. ^ (1) "The 45th Annual Sakura Matsuri Japanese Street Festival". Japan-America Society of Washington DC. Archived from the original on April 11, 2006. Retrieved March 21, 2016. (2) "51st Annual Sakura Matsuri Japanese Street Festival". Japan-America Society of Washington DC. Archived from the original on February 8, 2011. Retrieved March 21, 2016. (3) "53rd Annual Sakura Matsuri Japanese Street Festival". Japan-America Society of Washington DC. Archived from the original on February 8, 2013. Retrieved March 21, 2016. (4) "55th Annual Sakura Matsuri Japanese Street Festival". Japan-America Society of Washington DC. Archived from the original on March 6, 2015. Retrieved March 21, 2016. ^ a b c (1) Stein, Patty (February 26, 2016). "Thanks to Trump's hotel, D.C. street festivals have to make a few changes". Local. The Washington Post. Archived from the original on March 21, 2016. Retrieved March 21, 2016. (2) Cooper, Rebecca (March 2, 2016). "Why the National Cherry Blossom Festival will have to move this year. (Hint: Trump) Plus, peak bloom!". Washington Business Journal. Retrieved March 21, 2016. ^ (1) "56th Annual Sakura Matsuri Japanese Street Festival". Japan-America Society of Washington DC. Archived from the original on March 12, 2016. Retrieved March 21, 2016. (2) "Sakura Matsuri – Japanese Street Festival: April 16, 2016". National Cherry Blossom Festival. Archived from the original on March 22, 2016. Retrieved March 22, 2016. (3) "57th Annual Sakura Matsuri Japanese Street Festival". Japan-America Society of Washington DC. Archived from the original on April 17, 2017. Retrieved April 26, 2017. (4) "Sakura Matsuri – Japanese Street Festival: April 8, 2017". National Cherry Blossom Festival. Archived from the original on March 1, 2017. Retrieved April 26, 2017. ^ "Donald Trump arrives in Washington ahead of Inauguration Day". CBS News. January 19, 2017. Archived from the original on January 22, 2017. Retrieved January 18, 2019. ^ Prokop, Andrew (August 14, 2018). "Why Trump's inauguration money is a major part of Mueller's Russia investigation: Russia-tied donations and oligarch connections have drawn Mueller's interest". Vox. Retrieved January 18, 2019. ^ a b Marritz, Ilya (WNYC); Elliott (ProPublica), Justin (December 14, 2018). "Trump's Inauguration Paid Trump's Company — With Ivanka in the Middle: As the inaugural committee planned the landmark celebration, internal concerns were raised about whether Trump's Washington hotel was overcharging for event space. The spending could be a violation of the law". WNYC and ProPublica. Retrieved January 18, 2019. ^ a b c Laura Jarrett (January 22, 2017). "Trump's DC hotel is the new legal hot spot in town". CNN. ^ "Former Mexican ambassador says State Department is telling world leaders to stay at Trump hotels". Retrieved 2017-11-02. ^ a b Lipton, Eric; Liptak, Adam (January 22, 2017). "Foreign Payments to Trump Firms Violate Constitution, Suit Will Claim". The New York Times. ISSN 0362-4331. ^ Jonathan H. Adler, Does the emoluments clause lawsuit against President Trump stand a chance?, Washington Post (January 23, 2017). ^ Complaint, Citizens for Responsibility and Ethics in Washington v. Trump, 1:17-cv-00458 (S.D.N.Y. Jan. 23, 2017). ^ Bykowicz, Julie (June 14, 2017). "Democrats in Congress are the latest to sue President Trump". Boston Globe. Associated Press. Retrieved June 14, 2017. ^ a b Eric Kelly, Democrats ask inspector general to review Trump's hotel lease, USA Today (February 2, 2017). ^ Hansler, Jennifer; Fishel, Justin (2017-03-27). "Trump Hotel in DC not in violation of government lease, GSA says". ABC News. Retrieved 2017-07-03. ^ Skolnik/first=Sam (August 30, 2017). "GAO, GSA Inspector General Open Probes Into Trump Hotel Lease". Bloomberg BNA. Retrieved December 10, 2017. ^ Federal agency ignored Constitution in approving Trump hotel lease, watchdog says. Honolulu Star-Advertiser. Associated Press. January 17, 2019. Retrieved January 18, 2019. ^ "Remarks of Walter M. Shaub, Jr., Director, U.S. Office of Government Ethics, as prepared for delivery at 4:00 p.m. on January 11, 2017, at the Brookings Institution" (PDF). Brookings Institution. January 11, 2017. ^ Miranda, Carolina A. (May 16, 2017). "Meet Robin Bell, the artist who projected protest messages onto Trump's D.C. hotel last night". Los Angeles Times. Los Angeles. Archived from the original on June 2, 2017. Retrieved January 24, 2018. ^ Politi, Daniel (January 14, 2018). "Trump Gets "Shithole" Thrown Back in His Face: Vulgarity Projected Onto His D.C. Hotel". Slate. The Slate Group LLC. Archived from the original on January 14, 2018. Retrieved January 24, 2018. ^ David Boddiger. "Hundreds of Thousands Join March for Our Lives to Show that 'We Are the Change'". Splinter News (March 24, 2018). ^ Luis Sanchez. "Protesters leave their gun protest signs outside Trump Hotel in DC". Publisher (March 24, 2018). ^ a b Noble, Andrea (April 27, 2014). "Old Post Office observation deck to close for building renovation". The Washington Times. Archived from the original on November 26, 2017. Retrieved November 26, 2017. ^ a b c d e f g Kelly, John (February 15, 2012). "For Whom Will Old Post Office Bells Toll When Trump Comes to Town?". Local. The Washington Post. Retrieved April 26, 2017. ^ "Sir David Wills". Ditchley Foundation. Retrieved April 26, 2017. ^ Ringle, Ken (March 10, 1983). "British Bicentennial Bells Installed in Old Post Office". Metro. The Washington Post. Retrieved April 26, 2017. ^ a b c Harpaz, Beth J. (Associated Press) (April 18, 2017). "Clock tower over the Trump hotel quietly reopens for tours". Travel. U.S. News & World Report. Retrieved April 26, 2017. ^ Knickmeyer, Ellen; Braun, Stephen (January 5, 2019). "Shutdown spares federal park rangers at site in Trump hotel". Associated Press. Retrieved January 5, 2018. Appewhite, E.J. Washington Itself: An Informal Guide to the Capital of the United States. Lanham, Md. : Madison Books, 1993. Bednar, Michael J. L'Enfant's Legacy: Public Open Spaces in Washington. Baltimore: Johns Hopkins University Press, 2006. Benedetto, Robert; Donovan, Jane; and Du Vall, Kathleen. Historical Dictionary of Washington. Lanham, Md. : Rowman & Littlefield, 2003. Burke, Susan and Powers, Alice Leccese. DK Eyewitness Travel Guide: Washington, D.C. London: Dorling Kindersley, 2012. DeFerrari, John. Lost Washington, D.C. Charleston, S.C.: History Press, 2011. Evelyn, Douglas E.; Dickson, Paul; and Ackerman, S.J. On This Spot: Pinpointing the Past in Washington, D.C. 3rd rev. ed. Sterling, Va.: Capital Books, 2008. Fodor's Flashmaps Washington, D.C. New York: Fodor's, 2004. Glazer, Nathan. From a Cause to a Style: Modernist Architecture's Encounter With the American City. Princeton, N.J.: Princeton University Press, 2007. Goode, James. "Introduction: The Creation of Monumental Washington in the 1930s". In Wentzel, Volkmar Kurt and Goode, James. Washington by Night: Vintage Photographs From the 30s. Reprint ed. James Goode, ed. Golden, Colo.: Fulcrum Publishing, 1998. Hess, Stephen. "The Federal Executive". In Daniel Patrick Moynihan: The Intellectual in Public Life. Robert A. Katzmann, ed. 2d ed. Washington, D.C.: Woodrow Wilson Center Press, 2004. Hodgson, Godfrey. The Gentleman From New York: Daniel Patrick Moynihan: A Biography. New York: Houghton Mifflin Harcourt, 2000. Pennoyer, Peter and Walker, Anne. The Architecture of Delano and Aldrich. New York: W.W. Norton, 2003. Scott, Pamela and Lee, Antoinette Josephine. 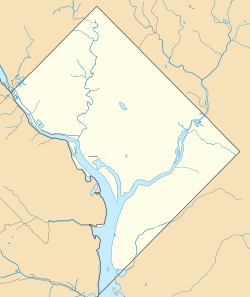 Buildings of the District of Columbia. Oxford, U.K.: Oxford University Press, 1993. Schrag, Zachary M. The Great Society Subway: A History of the Washington Metro. Baltimore: Johns Hopkins University Press, 2006. Sider, Sandra. "Washington, D.C." In The Grove Encyclopedia of American Art. Joan M. Marter, ed. New York: Oxford University Press, 2011. Subcommittee on Public Buildings and Grounds. To Review the Proposed Demolition of the Old Post Office Building and Other Landmark Buildings. Committee on Public Works. U.S. Senate. 92d Cong., 1st sess. Washington, D.C.: U.S. Government Printing Office, April 21, 1971. Wentzel, Volkmar Kurt and Goode, James. Washington by Night: Vintage Photographs from the 30s. Reprint ed. James Goode, ed. Golden, Colo.: Fulcrum Publishing, 1998. Shultz, Scott G. "America's Watchtower: Saving the Old Post Office," Cultural Resource Management No. 2, 1998. Von Eckardt, Wolf (September 1983). "A preservation Victory Saves Washington's Old Post Office". National Geographic. Vol. 164 no. 3. pp. 407–416. ISSN 0027-9358. OCLC 643483454. Wikimedia Commons has media related to Old Post Office Building (Washington, D.C.). "Trump International Hotel Washington, D.C., web site". Trump International Hotels LLC. Archived from the original on November 26, 2017. Retrieved November 27, 2017. "Former Old Post Office Pavilion Management Company web site". Hill Partners, Inc. Archived from the original on September 18, 2017. Retrieved November 26, 2017. "Old Post Office Tower web site of the National Park Service". Archived from the original on November 26, 2017. Retrieved November 26, 2017. "Old Post Office web site of the General Services Administration". Archived from the original on November 26, 2017. Retrieved November 26, 2017. United States Capitol Tallest Building in Washington, D.C.
1899 establishments in Washington, D.C. Individually listed contributing properties to historic districts on the National Register in Washington, D.C.
Office buildings on the National Register of Historic Places in Washington, D.C.
Post office buildings on the National Register of Historic Places in Washington, D.C. This page was last edited on 18 March 2019, at 16:33 (UTC).